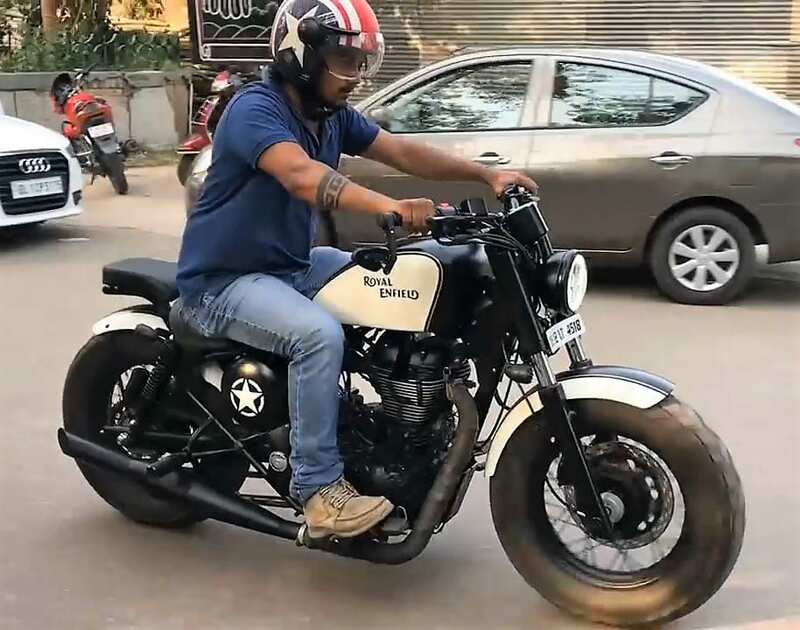 Royal Enfield Bobber is still years away from production but this particular example shows how fans can add their own charm into the motorcycle by modification. The one seen here is inspired by Harley-Davidson Forty-Eight, clearly visible from the edgy peanut fuel tank and extra thick tires at both ends. 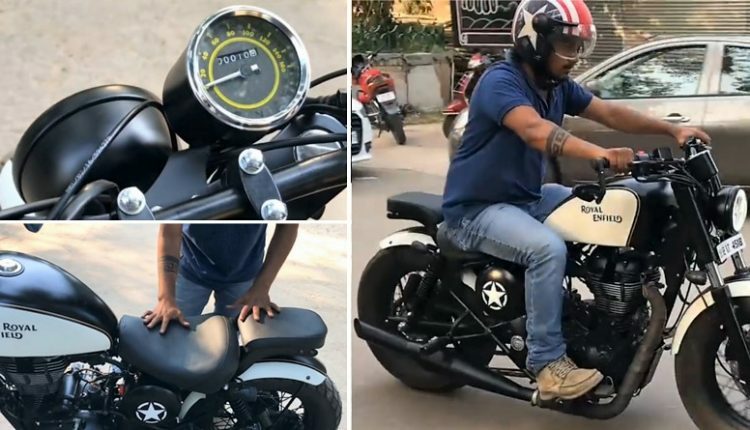 The Bobber seen here comes with a black base shade, flaunting white inserts on the fuel tank and fenders. The engine section is black painted, carrying chrome lines for the highlights. The lack of suspension covers result in a different front section look while headlight is also different from the one seen on RE models. The round headlight gets round daytime running light studded in its outer ring. The glowing pattern is futuristic and neat. Apart from the short fenders at both ends, this Bobber comes with a split seat with floating rear support. 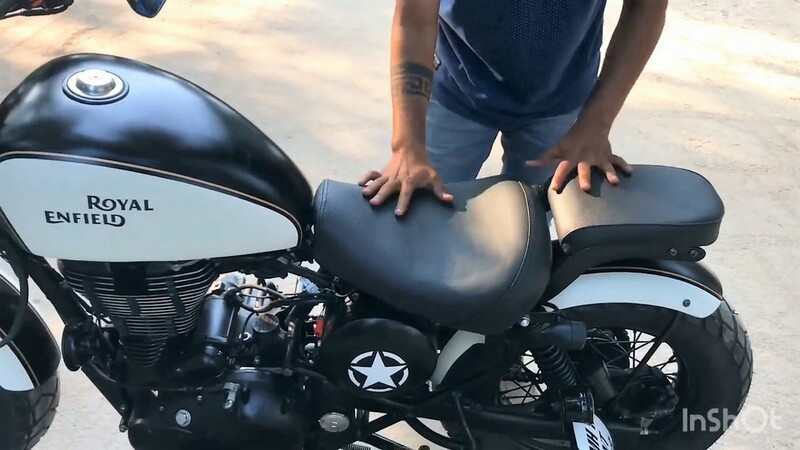 It looks different from most modern Bobber modifications as they feature single-seat layout. The stock exhaust was replaced with this all-black custom unit with heat insulation tape on the front half. The spoke rims at both ends are smaller than stock RE models, supporting the extra thick tire set for this amazing stance. 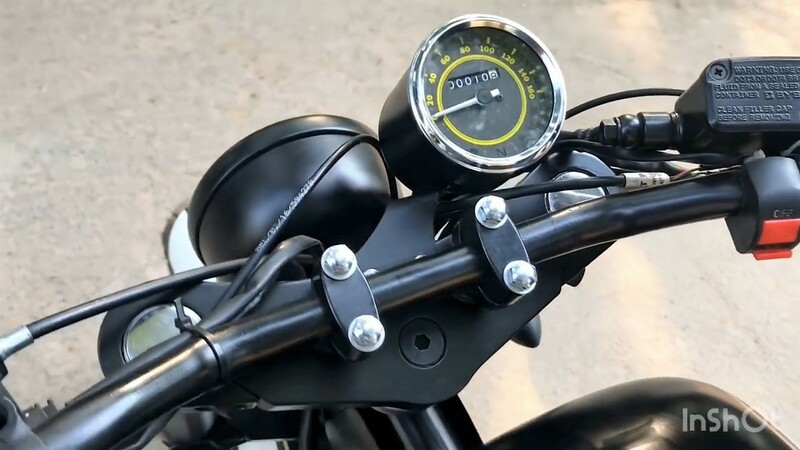 The modifier has used bar end rear view mirrors, analog console with single pod and flat handlebar. Both ends are available disc brakes for efficient braking. The brake light and number plate are placed on the left side while both rims are finished in black. The motorcycle seen here is a 350cc model and the modifier is charging around INR 90,000 for the modification excluding the donor bike. 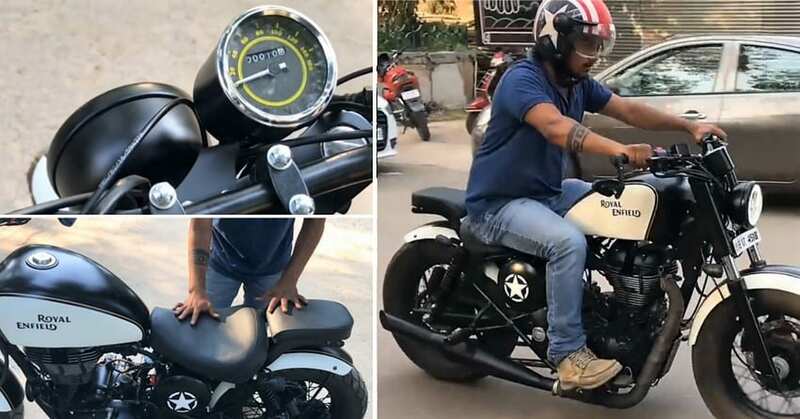 Apart from other details, this custom-made Royal Enfield Bobber comes with unique indicators.